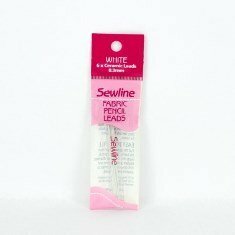 Refill leads for Sewline Fabric Pencil. Strong 0.9 ceramic leads--colored with water soluble dyes specially formulated for fabrics. Package contains 6 white leads.